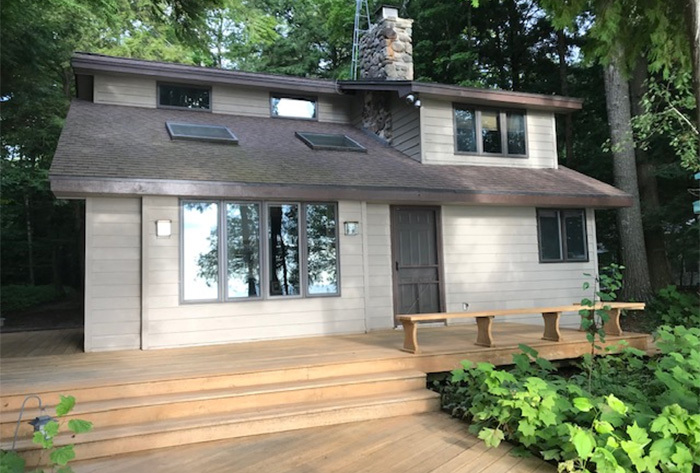 Nestled in the woods,down a hidden drive,off of scenic Cave Point Dr. is the place to escape and unwind.The light and open beach house has 3 bedrooms,1.5 baths on beautiful sand beach of Lake Michigan. Enjoy long walks,swimming and watching sun rises.Cave Pt.Dr. is a great place for jogging,biking or nature walks. 2 miles to Cave Pt. Cty. Park, Whitefish Bay Dunes,Clark Lake & public boat launch.15 min.from Fish Creek,Sister Bay,Ephraim,Egg Harbor&Sturgeon Bay.The beach house sleeps 6. NO PETS. 2019: Memorial Day-Labor Day $1600/wk incl. tax. After Labor Day to Nov. 1 $181/nite, 3 nite min.